I was a Mac user back in the Dark Ages of Apple, when the company was as adrift as a rudderless ship in the Bermuda Triangle. But while the company was plagued by mismanagement and infighting, it still managed to come up with some pretty interesting ideas. Apple in the 1990s had some bright, creative minds working for it, but the company lacked the vision and focus to implement anything effectively. With that in mind, let us look at some of the more interesting innovations of interregnum Apple. 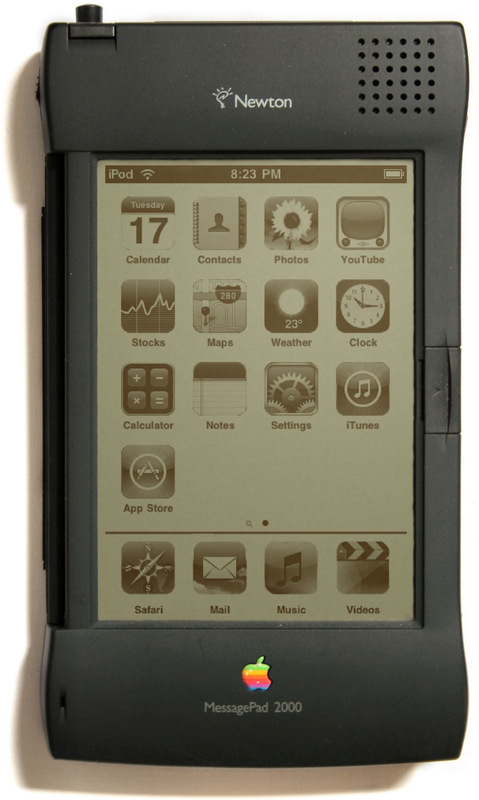 Apple’s most successful failure, the Newton, was the great granddaddy of the iPhone. The problem with the Newton was that the technology did not exist to make it work. 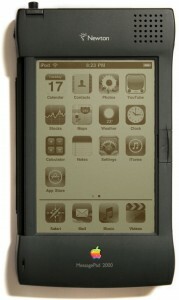 The thing was a brick, with the MessagePad 200 weighing in at four times the weight of the iPhone 4. Then there was the highly-touted handwriting recognition, a feature that simply did not work. It still doesn’t. If Jobs had created the Newton back them, he probably would have left that “feature” out. Doing so might have even allowed him to make the device simpler and smaller. Therein lies the genius of Steve Jobs. Like Hemingway, Jobs knows what you leave out is as important as what you put in. In the early Nineties, cheap home computers popped up at retail stores that didn’t specialize in computers. These were the glory days of Packard Bell, when computers became commonplace. However, computers of that era were still too difficult, and the majority of users were still too inexperienced. The solution? Proprietary interfaces. Just about every DOS/Windows machine at the time came with an oversimplified launcher that made it easy to launch prepackaged programs (bloatware), while doing nothing to improve usability elsewhere in the operating system. At Ease was no exception to this rule. It presented users with a screen full of large square buttons that launched applications. While it looked quite a bit different from the modern iOS Springboard, the functionality was remarkably similar. About the shape and size of a pair of binoculars, the Apple QuickTake 100 could take up to eight 640×480 photos. It was quite primitive by today’s standards, but it was a pretty big marketing breakthrough at the time, one of the first digital cameras marketed to the average consumer. If Steve Jobs hadn’t killed it in 1997, Apple might nowadays be a major player in the photography world. I don’t think Steve Jobs and Tim Cook are losing any sleep over that, though. The Apple of today isn’t interested in manufacturing “ordinary” items like cameras and printers. Jobs and his ilk are more about interface and integration. They’ve gone beyond the concepts of megahertz, megabytes and megapixels. People nowadays don’t talk about how much RAM their phones have; they talk about what their phones can do. Because of this, Steve Jobs was right to discontinue things like the Newton and the QuickTake. He didn’t just kill these products to get back at John Sculley for kicking him out (though I think that was a factor). Jobs got rid of these technologies because he was ready to innovate on a different level, one where hardware and operating systems play second fiddle to data and applications. There are a lot of other famous/infamous Apple products of the era. What do you think?